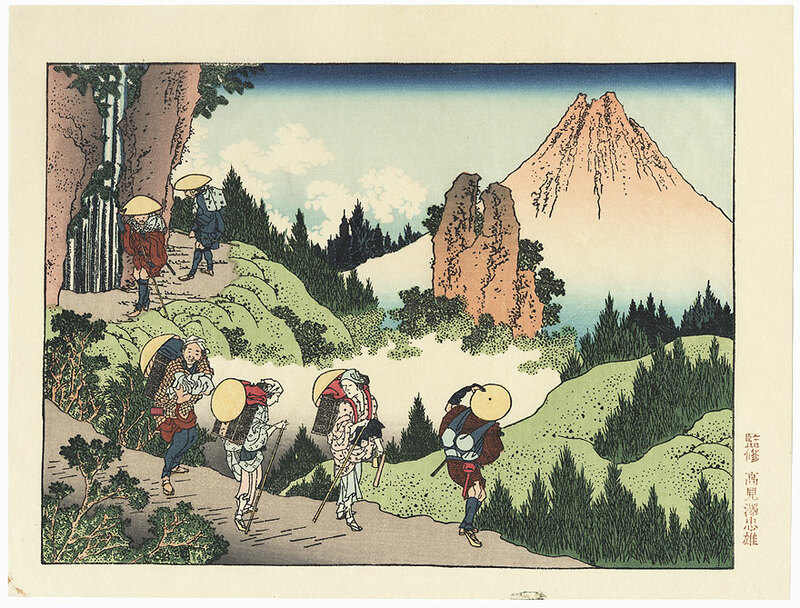 Fuji in the Mountains of Taisekiji Temple - Handsome view of travelers along a mountain path near Taisekiji Temple. One man pauses to look out at the rugged rock formation in the center with Mt. 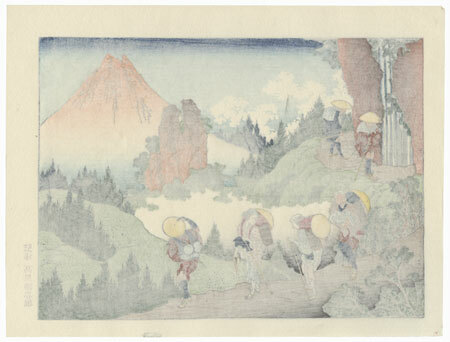 Fuji echoing the shape in the distance, holding onto his straw hat with one hat. A waterfall rushes over the rocks at left, and clouds drift among the valley. 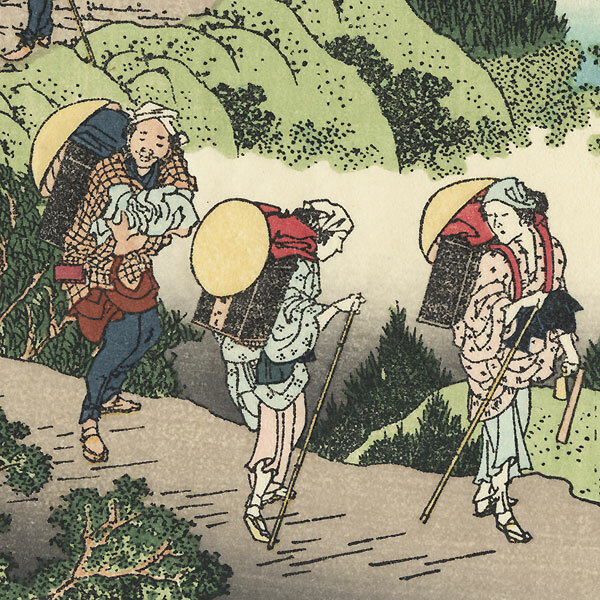 A beautifully detailed and colored scene with fine bokashi shading.